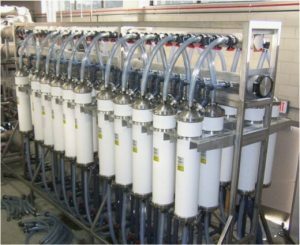 The MRVWD water treatment facility project was designed to treat water from eight wells belonging to the Towns of Fairhaven, Marion and Mattapoisett. The MRVWD facilities also include approximately 5 miles of raw water transmission mains between the wells and the water treatment facility, finished water transmission mains from the water treatment facility to the existing town transmission mains, six new 100 HP high lift pumps and control/metering stations. The existing pump stations were upgraded to pump water to the water treatment facility but operation of the pump stations will remain the responsibility of the individual towns. The total cost of all project components was approximately $16.5 million, which was partially funded with a low interest SRF loan. By constructing a regional facility, the towns were able to save over $4.9 million in design and construction costs in comparison to individual treatment facilities. Tata & Howard has been assisting the City of Franklin, New Hampshire with general water engineering services since 2009. The Tata & Howard team has managed several phases of work, including the design and construction of the water treatment plant and distribution system improvements. The first phase was the design and construction of 2,500 linear feet of water main on Hill Road to connect a new water treatment plant to the City’s distribution system. This project also involved use of four bioretention systems to treat and manage stormwater from the roadway, and was constructed in 2010. The second phase of our work with the City included the design and construction of two parallel 2,500 LF sections of 12-inch diameter HDPE crossings beneath the Pemigewasset River using horizontal directional drilling to transport water from the City’s Franklin Falls Well to the water treatment plant site. Tata & Howard managed the survey and geophysical studies and prepared a Preliminary Design Report and Environmental Review documents for several phases of work. The City’s wells are surrounded by lands controlled by the US Army Corps of Engineers, which required that we complete an extensive permitting process to secure permissions for the final design of the project. Tata & Howard completed design, construction, permitting, and funding applications for a 1,000 gallons per minute groundwater treatment plant to remove iron and manganese from three of the City’s wells. 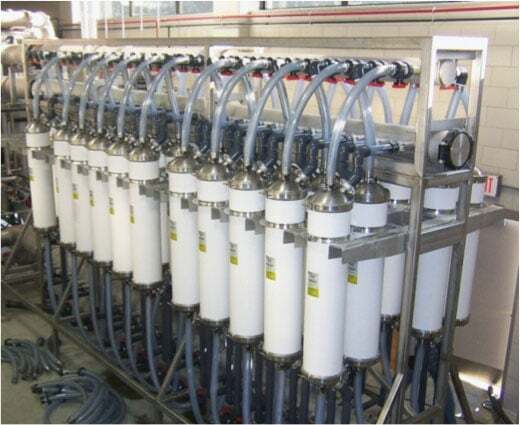 The plant has four pressure filters containing Greensand Plus media and using sodium hypochlorite for oxidation and sodium carbonate (soda ash) for pH adjustment. This plant went online July 9, 2012. Tata & Howard provided design services for the construction of a new prestressed concrete tank at the site of an existing tank. 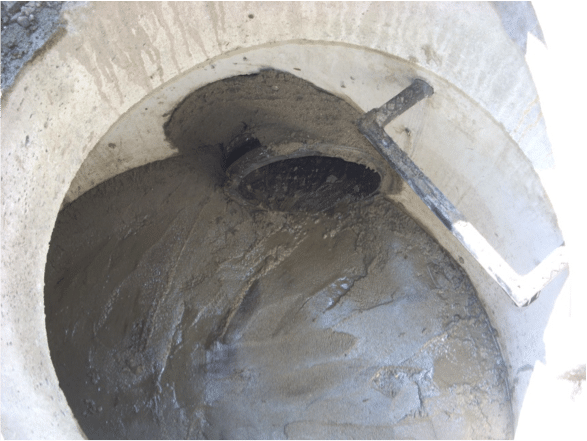 The existing tank was in poor condition and due to the site characteristics, it was determined that construction of the new tank on the existing foundation of the old tank would be the best option. A second tank on the site was demolished in 2013 and a new prestressed concrete tank will be constructed in its place. 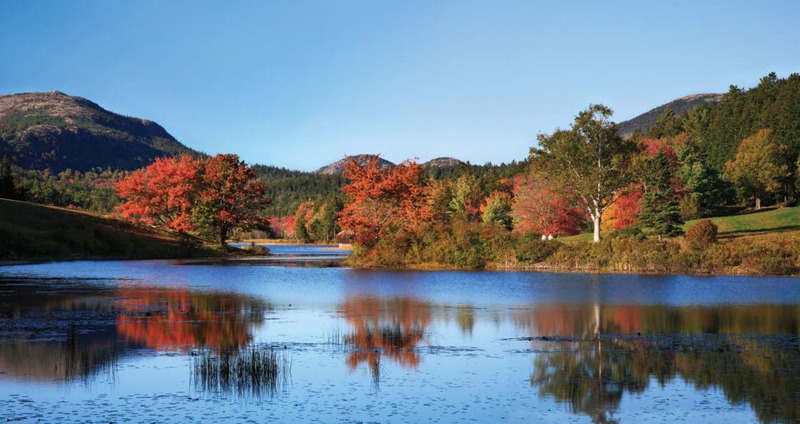 Tata & Howard also conducted a full water system analysis for the City of Franklin, New Hampshire by utilizing our proprietary Capital Efficiency Plan™ methodology. Our CEP involved creating a model of all water infrastructure in the City including sources, pump stations, treatment facilities, storage facilities, transmission, and distribution lines. Using our GIS modeling software, the system was calibrated based on fire flows in an attempt to accurately replicate the existing system. We then pinpointed deficiencies within the system based on a custom rating scale given to multiple criteria such as age, break history, material type, criticality and size. Recommendations were made for improvements in order of need. The study renewed both above ground and below ground assets. 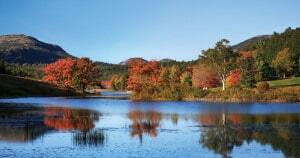 Funding for this study was in part from an Asset Management Planning Grant from NHDES. This project included installation of 850 linear feet of 8-inch diameter water main, installation of 450 linear feet of new drainage, sidewalks, and roadway reconstruction on Park Avenue. The work included temporary bypass piping for the duration of the project. The project was funded by a CDBG grant. 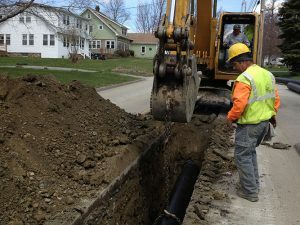 Tata & Howard also provided engineering services for the installation of new 8-inch diameter water mains on Green Street, Lincoln Street, and Squier Avenue. 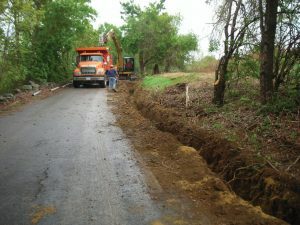 The project included the installation of drainage pipe and catch basins as well as roadway reconstruction and new sidewalks. The project was funded by a CDBG Grant. Phase I services included engineering services for bid, award, construction administration and resident observation services for approximately 6,500 linear feet of 12-inch water main and 750 linear feet of 8-inch diameter water main for a water main replacement project on Packachoag Street. Phase II services included engineering design, bid and award, and construction administration and resident observation services for approximately 5,000 linear feet of 8-inch water main. Both phases are funded by the USDA Rural Development program. Tata & Howard is currently providing construction administration services for a new 0.5 million gallon cast-in-place concrete water storage tank, booster pump station, approximately 12,600 linear feet of new 12-inch diameter water main, and miscellaneous distribution system upgrades. Construction of in-line isolation valves, removal of existing pressure-reducing valve (PRV) vaults, a new system wide SCADA system and new high lift pumps at the water treatment facility and well site were also included in Tata & Howard’s design. 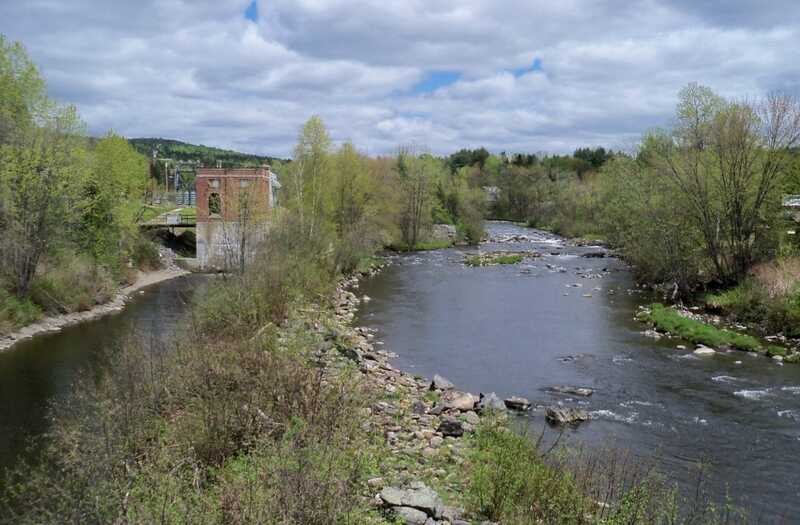 The purpose of this project is to separate the current single zone system into two pressure zones as required by an Administrative Consent Order from the MassDEP. 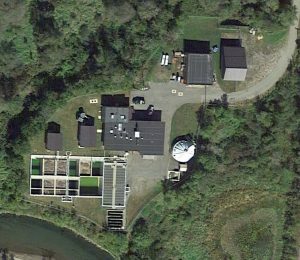 The creation of a two pressure zone system requires the replacement of the existing 200 horsepower (hp) pump at the Meadow Road Water Treatment Facility and 150 hp pump at the Cranberry Brook Well with lower head, high efficiency pumps and motors. The Meadow Road facility is the Town’s primary water supply source; therefore, changing of this pump requires coordination with the Department of Utilities and Facilities and the overall two pressure zone project construction sequencing to minimize the time this source is off-line. Tata & Howard also verified the Town’s hydraulic model, which was used to select the best location for the new tank and select water main size for transmission and fire protection. The model was also used to determine the boundary line between the two pressure zones. A Capital Efficiency Plan™ is currently being prepared. Assistance will be provided, as needed, for public education of the project and during Town meetings. This project is being funded by the American Recovery and Reinvestment Act through the Massachusetts State Revolving Fund (SRF). Due to an aggressive schedule required under the funding requirements, all design; permitting associated with planning, zoning, and wetlands; and project bidding were completed and approved within a six-month period. Inadequate distribution piping for fire flows. Locating, permitting and developing a new source of supply (well) to supplement the existing wells and virtually eliminate the old spring sources due to the potential for contamination that had occurred in the past. Securing the maximum amount of grant funding available to the District at 45% with the remainder a low interest loan. Tata & Howard provided engineering services associated with water supply upgrades for Canaan FD #1 & #2. These two districts are located about 1.5 miles apart, meet monthly, and have one operator. 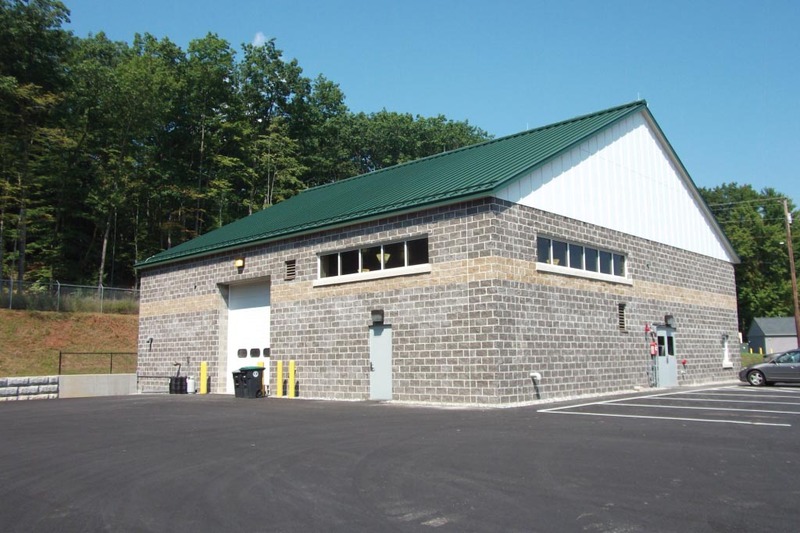 For FD#2, located in Beecher Falls, VT, Tata & Howard completed construction of a new concrete storage tank, well upgrades, and distribution system improvements including significant replacement of pipe. Tata & Howard was able to secure a 75% grant for the project which resulted in little impact to their water rates. FD#2 has 100 customers. The issues included inadequate system pressures, inadequate storage tank, inadequate disinfection system, and leaky pipes. FD#1 has two sources of supply. One is a large spring system located in Canada which consists of ten springs connected together, all under the influence of surface water and the other is a high yielding well source in the town limits. The issues are inadequate spring source construction and ability to maintain, low system pressures across the State line (they provide water service to West Stewartstown, NH), inadequate flushing capabilities, inadequate distribution piping, high iron and manganese levels in well source, and inadequate storage tank. In addition, we completed a feasibility study. Tata & Howard provided evaluation, planning, funding assistance, design, and construction phase engineering services for an upgrade to the 30-year old 0.750 MGD Extended Aeration Activated Sludge Treatment facility including conversion to Anoxic/Oxic activated sludge process to allow more operations’ flexibility, reduce construction and annual O&M costs, and prepare for potential for nutrient removal. Improvements consisted of the construction of four anoxic basins and four oxic basins, replacement of clarifiers, addition of five blowers, new electrical and control building, new heating system, new influent pumps, headworks influent screen followed by grit removal, centrifuge for sludge dewatering and post sludge dry storage building for the Class A Sludge. The project was funded by a USDA Rural Development loan and grant.